A RAK is described as anything that falls under the category of Random Acts of Kindness. Many people who are paper crafters send each other little gifts and tokens as a way to cheer each other up, demonstrate care and concern, and act as surprises. Crafters who get to know each other may form clubs or lists where they provide their addresses on the understanding that someone on that list will send them a card or small gift at agreed times. There are groups of crafters who have Birthday or Christmas lists, or who may decide to encourage a friend who has an illness or other challenging life event taking place, by sending them little unexpected papercraft gifts in the mail, often anonymously. Another reason many crafters may participate in this practice is so that they can learn from each other. There is nothing like receiving a beautiful or funny handmade card in the mail that demonstrates a certain technique for you. And what a great way to discover new ideas to try out yourself! I love seeing other people's styles of papercrafting in person. When I was new to the papercrafting world, living in the country where there were no craft supply stores and before Stampin' Up! came to Australia, I mentioned that I had no small bore paper punch to a group of crafters I knew online. I had no known way of purchasing one, either. I forgot all about that conversation until a few weeks later when I received a small package in the mail. In it was a small bore punch! One of the kind forum ladies had sent it to me as a RAK. It made my week, and I remember it to this day. It made me feel less isolated and lonely as a crafter and forged a link between me and the kind crafter who I still know today. If you want to start a Random Acts of Kindness list of your own, why not consider it? You don't even need a list to start anonymously (or not so anonymously!) 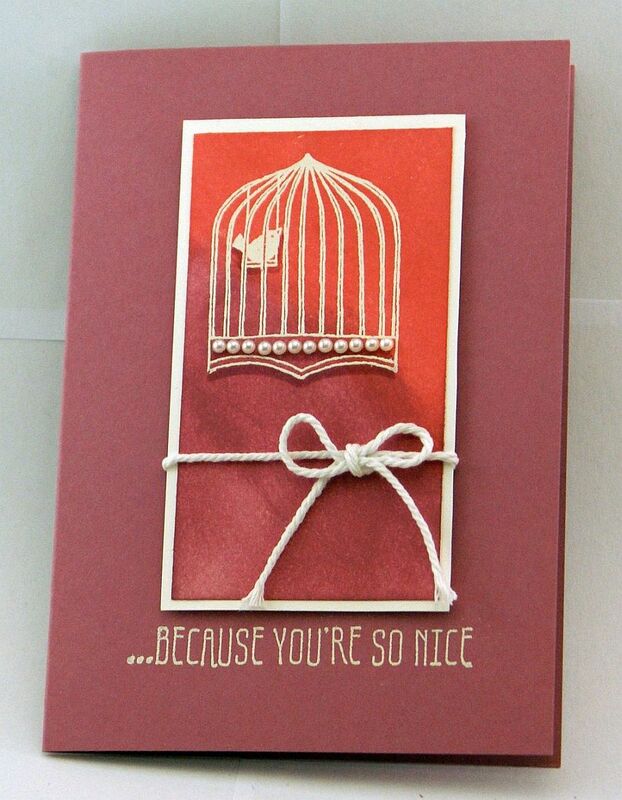 encouraging friends and family by sending a 'just because' card to someone. I made the accordion tag album pictured below to give to a friend who had suffered unusually cruel and sudden losses. Friends from all over Australia secretly made a 'friendship' tag to fit into a pocket of the album, and sent them to me. Before we all started, we decided on the dimensions of the tags, found out what our friend's favourite colours were, and what style of papercraft she liked the most. The album was made according to these specifications.